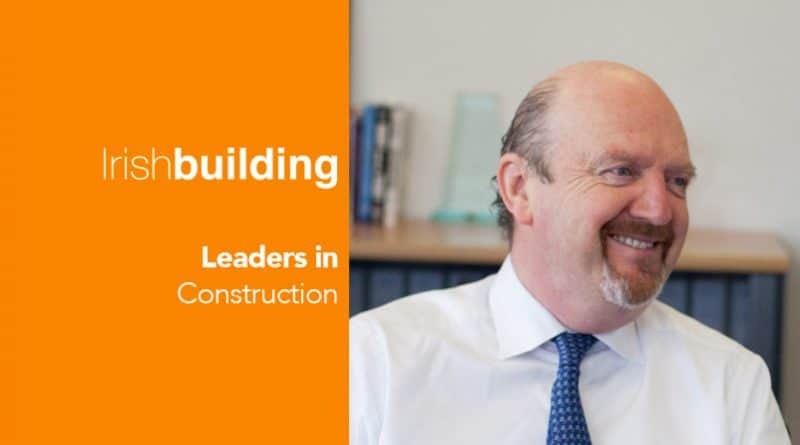 Three years on from a management buyout, Walls Construction is focused on a course of steady and sustainable expansion. Growth is high on the agenda at Walls Construction but not at any cost, according to managing director, Eugene O’Shea. The company, which sub-contracts most of its work, currently directly employs just over 200 people, including site managers, engineers, surveyors and head office support staff. In a similar vein, O’Shea cites LinkedIn as another greatly supportive client through the MBO process when Walls was building its EMEA headquarters at Wilton Place in Dublin 2, also completed last year. The company is currently on site at Ballymore’s Dublin Landings development, adjacent to the new Central Bank building. The first blocks have just reached completion. Residential construction, primarily of urban and suburban apartments, represented a sector of significant growth in 2017 and the company expects to complete over 1,000 homes in the next two years. After winning its first project with Park Developments – an office block in The Park in Carrickmines – last year, the company was subsequently contracted by the developer to design and build the five-block Notre Dame apartment scheme in Churchtown. Another recent apartment job was the completion of IRES Reit’s partially built The Maple complex in Sandyford. Walls has also started on-site on Marlet Property Group’s mixed-use Cardiff Lane development in Dublin 2. The 17,000 sq m scheme involves the replacement of existing warehouse buildings with two new blocks, six storeys and seven storeys high respectively. Fit-outs make up a significant proportion of the company’s workload and account for around €40m of projects each year. “We have started on the road of separately branding and separately resourcing our fit-out division, so that clients can benefit from the combination of specialist expertise backed by the resources of the overall group” says O’Shea. Current jobs in this side of the business include the fit-out of AIB’s new block in Central Park and European headquarters for both Zendesk and New Relic. Student accommodation, meanwhile, is a small but growing area for the firm. “It represented a very small proportion of 2017 but will make up a significant amount of revenue this year and next,” O’Shea says. Walls has just commenced work on three sites on North Circular Road and Dominick Street, which are part of GSA’s student accommodation roll-out programme across the country. In the immediate future, the company will be putting increased emphasis on building up its publicly funded workload. “Historically, we have been very strong in third level, particularly in UCD, UCC, Trinity College and NUI Maynooth. We’re on the UCD frameworks for projects of both up to and over €25m and we’re looking forward to competing for those jobs.” The company’s portfolio of work at UCD includes the O’Reilly Hall, Charles Institute and SBI, the Student Learning, Leisure and Sports Complex, and the School of Veterinary Medicine. O’Shea believes the construction sector is highly efficient and adaptable and therefore an important resource that can be used for the public good. He believes the industry is frustrated at government efforts to address the housing crisis. As a national emergency, the Government has at its disposal many mechanisms to short circuit both planning and procurement log jams but seems unwilling or unable to use them, leaving the industry with the ability to deliver these homes, standing by, unused.